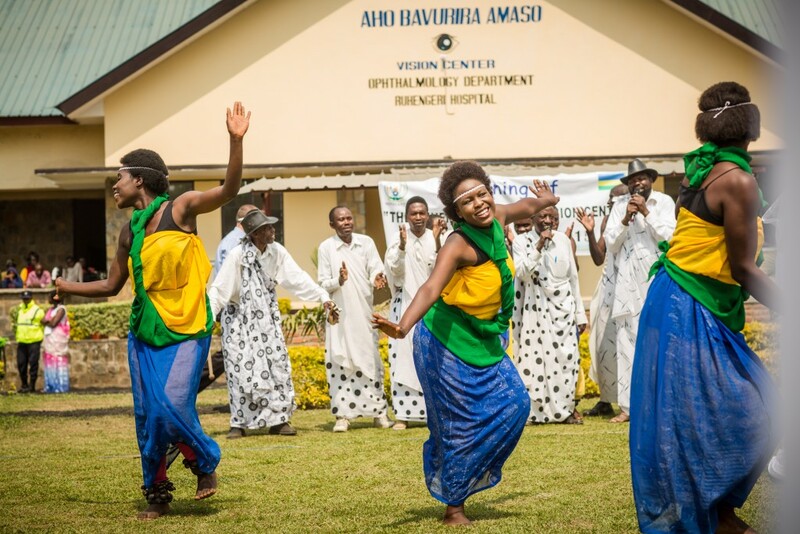 The Vision Center at Ruhengeri Hospital opened on July 21, 2015, bringing access to quality vision care and eyewear to 385,000 people in the Musanze District in Rwanda’s Northern Province. In its opening week, the vision center served over 200 patients and exceeded sales goals by 40%. The move into Rwanda is based upon the incredible success being achieved in The Gambia, where OneSight has established five vision centers and a central manufacturing center. The vision care system for the West African country will be completed in the next 12 months with the addition of two additional vision centers. The completion of The Gambia and the pilot in Rwanda will help OneSight achieve its goal of providing access to refractive error correction for 2 million people in 2015. OneSight has been developing relationships with Rwanda government leaders since May 2014. On February 23 the Honorable Minister of Health for Rwanda, Dr. Agnes Binagwaho, signed a Memorandum of Understanding in a tripartite agreement with OneSight and the local hospital. OneSight adds a unique complement to existing health services in Rwanda, a country that currently has fewer than 10 full-service vision centers ophthalmologists to serve a population of over 12 million people. While there is limited existing infrastructure around eye health and refractive error correction in Rwanda, the overall health infrastructure is extensive. A sophisticated network of 40,000 community health workers offers significant potential to support eye health education and help direct Rwandans to the new facility.